East Sternham is a terminus station of a branch line from the Liverpool Street to Norwich mainline in East Anglia. 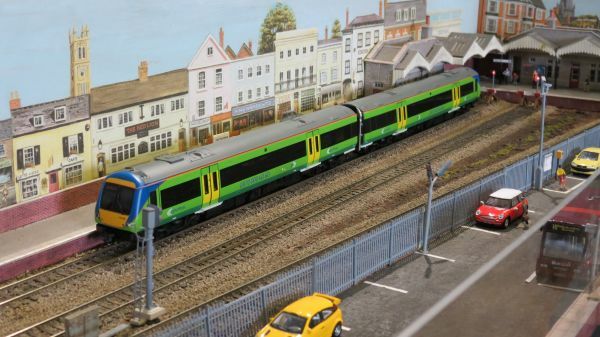 It has regular DMU (Diesel Multiple Unit) services to and from the mainline during the day with visits from mainline trains at peak periods. 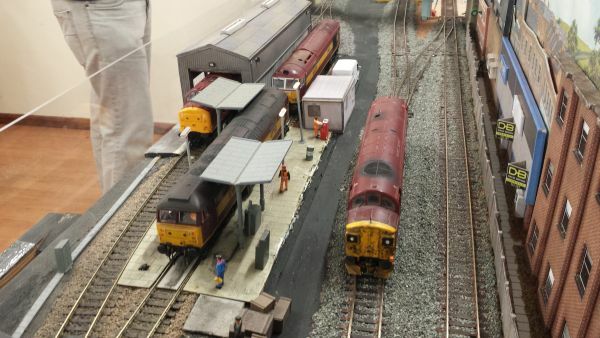 There is a single road engine shed and refuelling point for visiting locomotives and DMU's and a Railtrack yard and ballast depot. 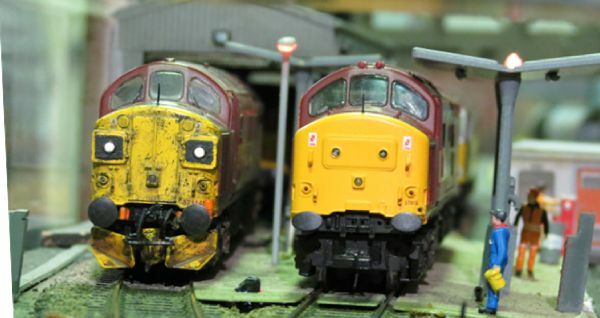 The layout is controlled by DCC (Digital Command Control) units with sound decoders in the locomotives and DMU's. Working colour light signals are also used, points and signals via conventional methods. 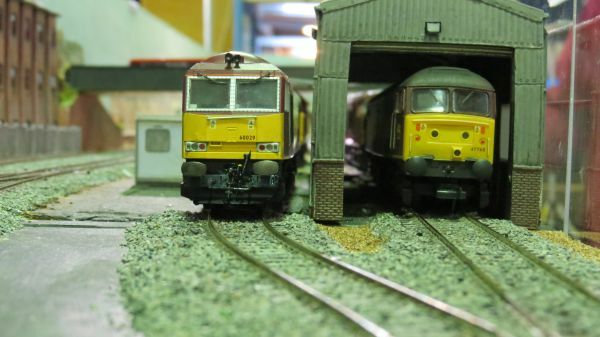 Layout Size: 12' 5" x 1' 6"
Expenses: Normally fuel for two vehicles. TBA at time of booking.